These Public Domain images were collected by Royce. All downloads are FREE. Prints (including prints on REAL canvas) can be ordered an my regular prices. 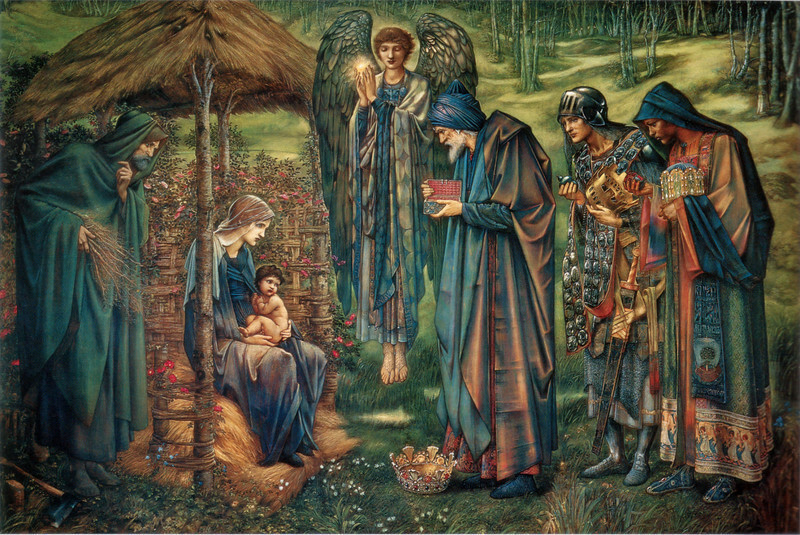 The Star of Bethlehem, watercolor by Edward Burne-Jones (1890). Click the "Buy" or shopping cart button (above the image) to purchase prints or merchandise -- or to download the "Original" image in its highest resolution.